I love to draw!! I find myself drawing my ideas on paper, whiteboards, napkins and even my iPad. I found this great app called "53 Paper" for FREE!!! In this app, I'm able to set up 3 notebooks. My notebooks are called, "Church Ideas" "Just for FUN" and "KidsWOW Ideas". 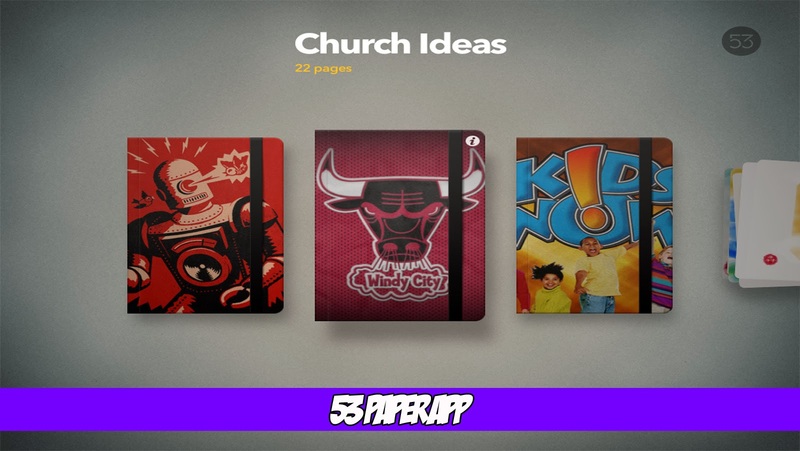 So whenever I think of an idea for the main church, I just draw it in my "Church Ideas" notebook. You do need to buy some items if you want, but I use the basics. I know that as a kids pastor, I tend to have ideas that pop up out of nowhere and I need to find somewhere to write it or draw it in. I do carry my iPad around, so I tend to draw instead. Here are some of my "KidsWOW Ideas" notebook drawings.